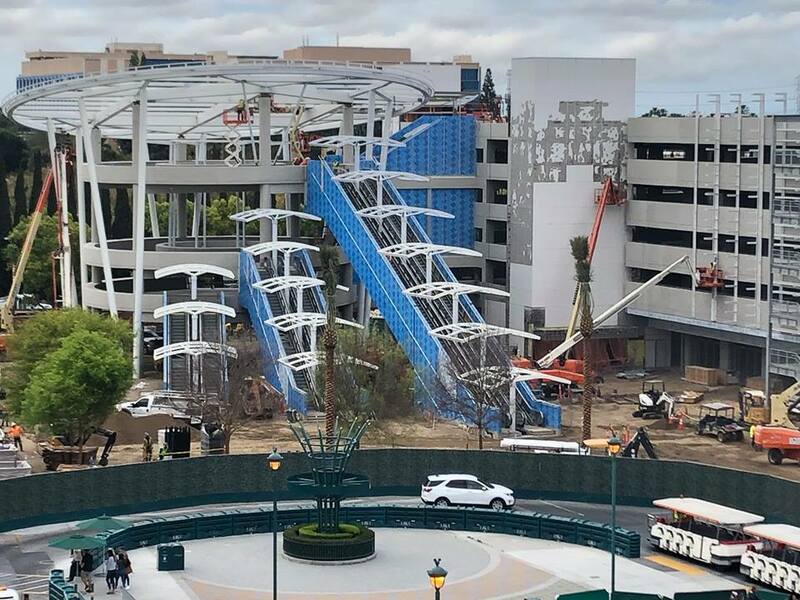 UPDATE 04/04/19: Here’s a look at construction of the new Pixar Pals parking structure as of this morning. Supports are now in place above the escalators for the covers that are still to come. 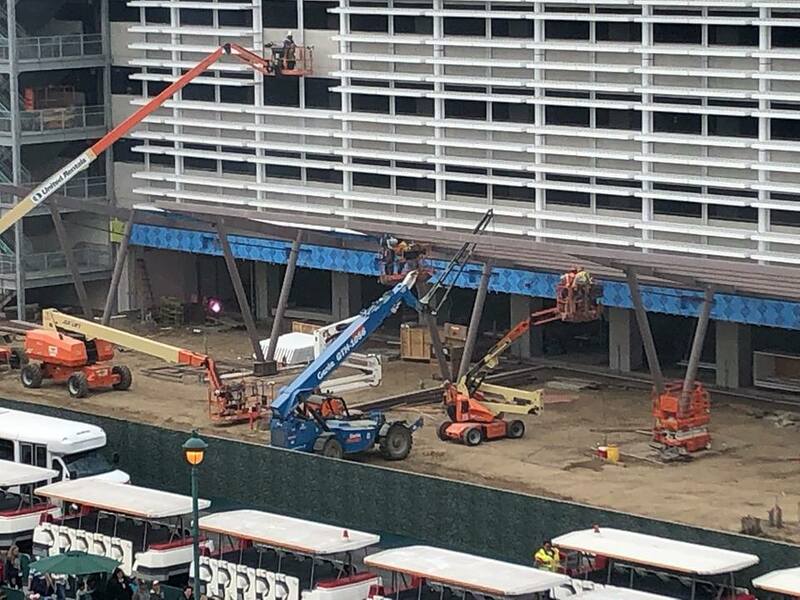 You can also see that they’ve added more of what will likely be supports for planter boxes, which should coordinate with the current Mickey & Friends parking structure. Last year, Disneyland Resort announced their plans to build an additional parking structure that will be located adjacent to the Mickey & Friends structure. 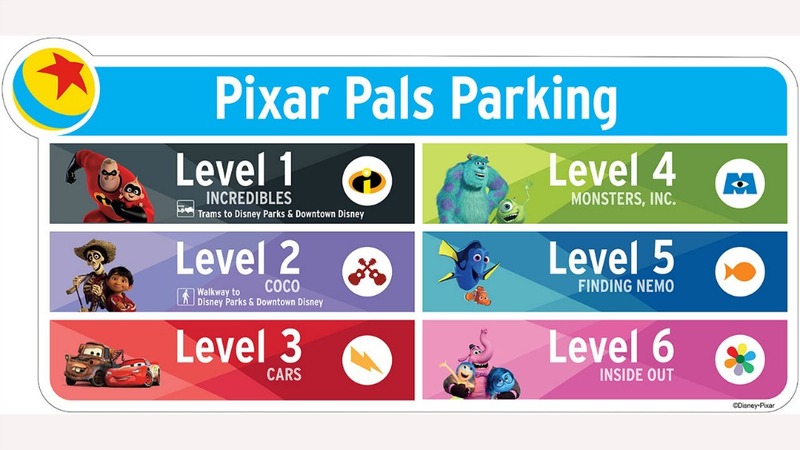 The new parking structure is going to be called Pixar Pals and will feature well-known friends from Disney Pixar films such as Coco, Monsters, Inc., and Inside Out. 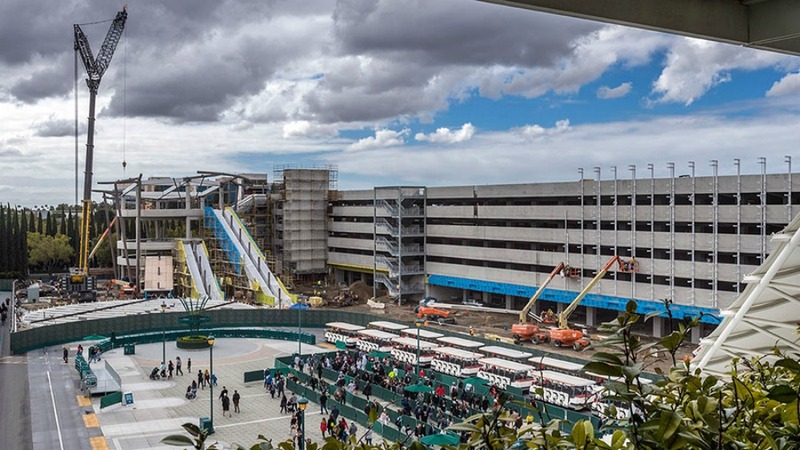 Over 5,000 parking spaces will be available within the structure that is set to open at the end of July, but Disneyland is hoping to open it sooner. Additionally, the new structure will feature a new electronic parking system to easier facilitate guest parking. Over the next few months, the existing Toy Story parking lot will be enlarged to add more than 2,000 additional parking spaces and additional entrances. 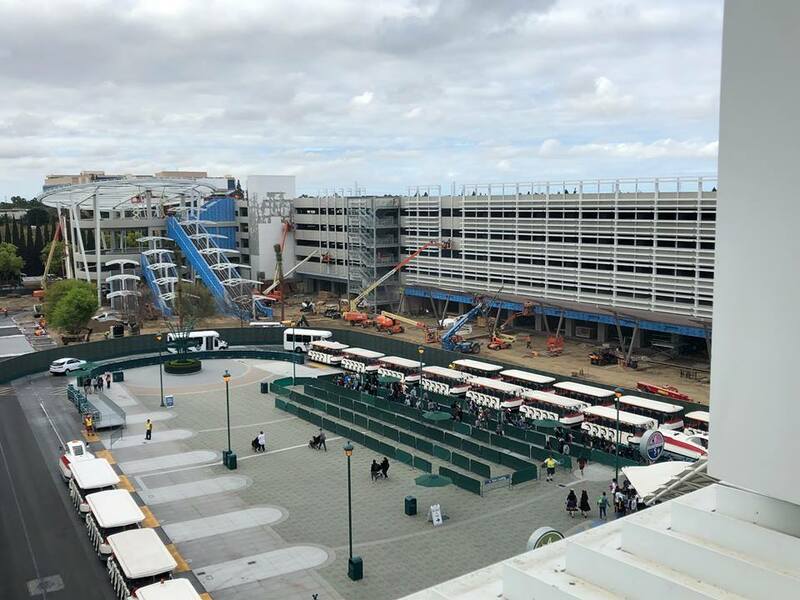 Security-screening tents will be added just before guests board the Toy Story parking lot shuttles which will eliminate screening in the esplanade outside the theme parks at peak times.